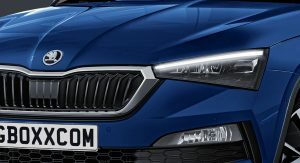 Could This Image Actually Preview The Skoda Scala Scout? 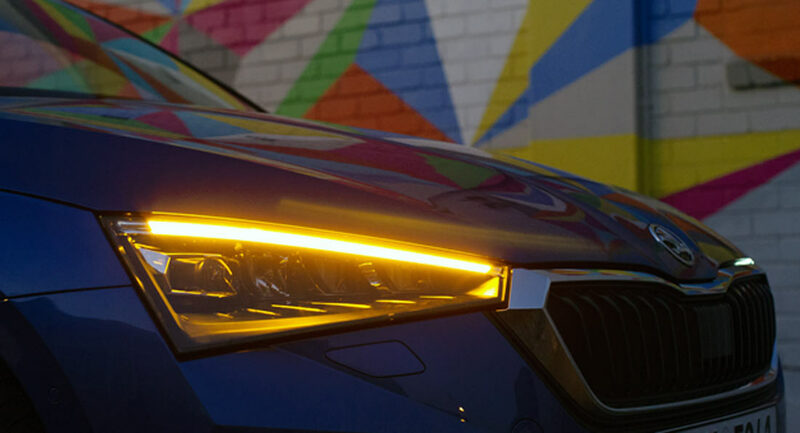 Is this image, shared by Skoda on Facebook, providing us with our first glimpse of the Scala Scout? Maybe, maybe not. 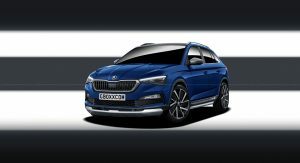 Carscoops reader Peter Beno tipped us off about the photo published as the cover photo on Skoda’s official Facebook page. On first impressions, it appears to simply show the new Scala first unveiled towards the end of 2018. However, a closer inspection reveals that it may instead be the more off-road focused Scout. What hints at this being the Scout is what appears to be black trim over the wheel arch. On the other hand, the lighting around the arch seems a little strange and it could actually be body-colored but may just look black from this angle. Brightening the image seems to suggest this may be the case. The Czech automaker hasn’t said whether or not the new Scala will be sold in Scout guise, but there’s a good chance it will be. 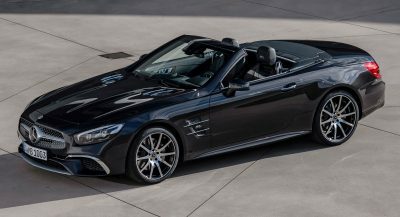 If such a model is produced, apart from the black wheel arches it will sport an increased ride height with different wheels and tires, a skid plate on the front end, rugged side skirts, and probably some off-road trimmings at the rear. If the automaker does indeed decide to make a Scala Scout, it will likely offer the car with a number of engines, but probably not the full range of five engines available in the regular model. 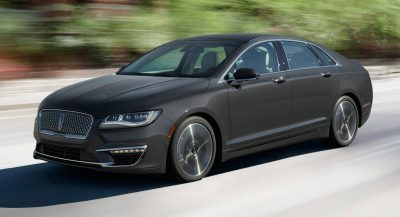 Skoda can choose from a 1.0-liter three-cylinder with 94 hp, a 1.0-liter with 113 hp, a 1.5-liter four-cylinder with 148 hp, a 1.6-liter four-cylinder diesel rated at 113 hp, and finally, a 1.0-liter diesel that runs on natural gas with 89 hp. Hat tip to Peter Beno! But also, I can’t un-see the shape of a KIA from this angle. Way lot of coverage on this Skoda, isn’t it?…. No. Clearly not. It’s just the light. Before everyone gets to excited because someones been blind: It’s just the light. No Scala Scout version. Which wouldn’t even make any sense since Skoda now has the Kodiaq, Karoq and the Kamiq. 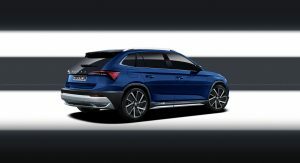 Having a Scala Scout would eat way too much into the Karoq’s territory in terms of pricing etc.